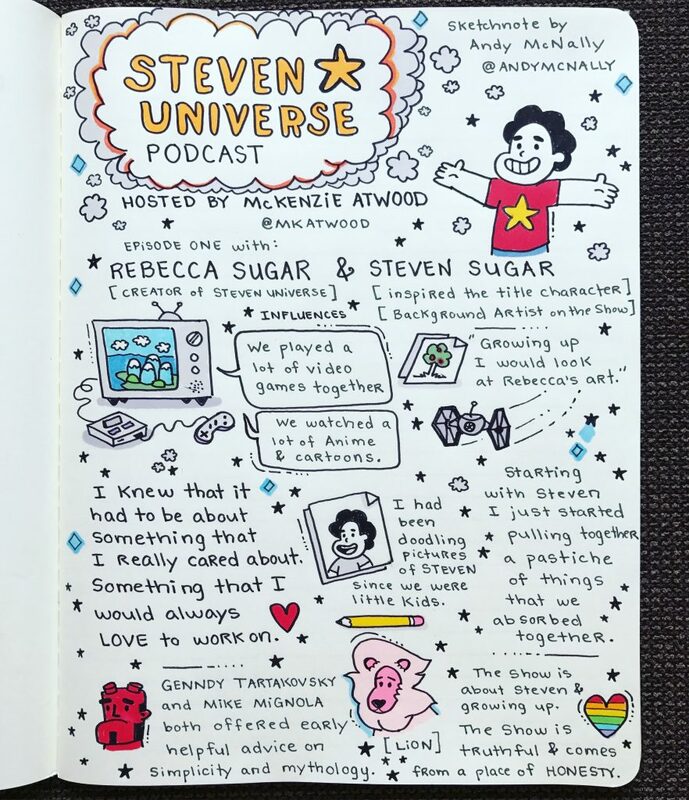 If you are a fan of Steven Universe, check out this official CartoonNetwork wonderful podcast with host McKenzie Atwood. You can find it on iTunes. The first episode features Steven Universe creator Rebecca Sugar and her brother Steven, who inspired the title character and who also serves as a background artist on the series.